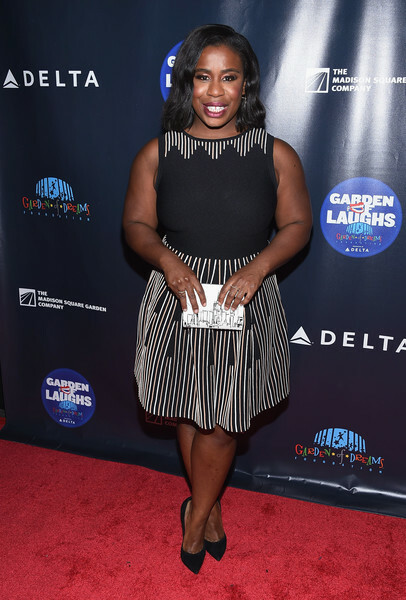 The Tony Awards red carpet was awash with color and pattern so it was interesting to see that the rest of this week was so dominated by neutrals and metallics with a dash of florals. 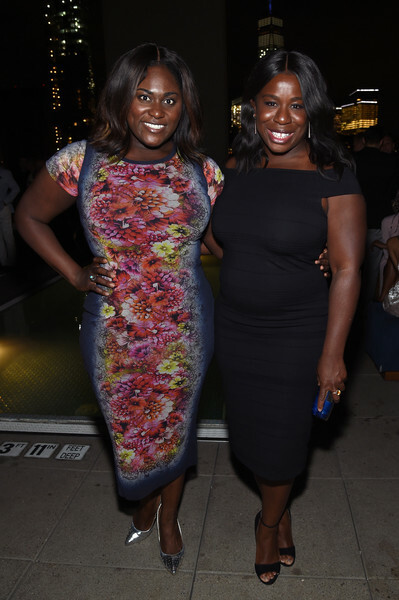 We’ve got the New York Orange is the New Black premiere and a couple of other events featuring some TV Ate My Wardrobe faves. Happy OITNB Day! 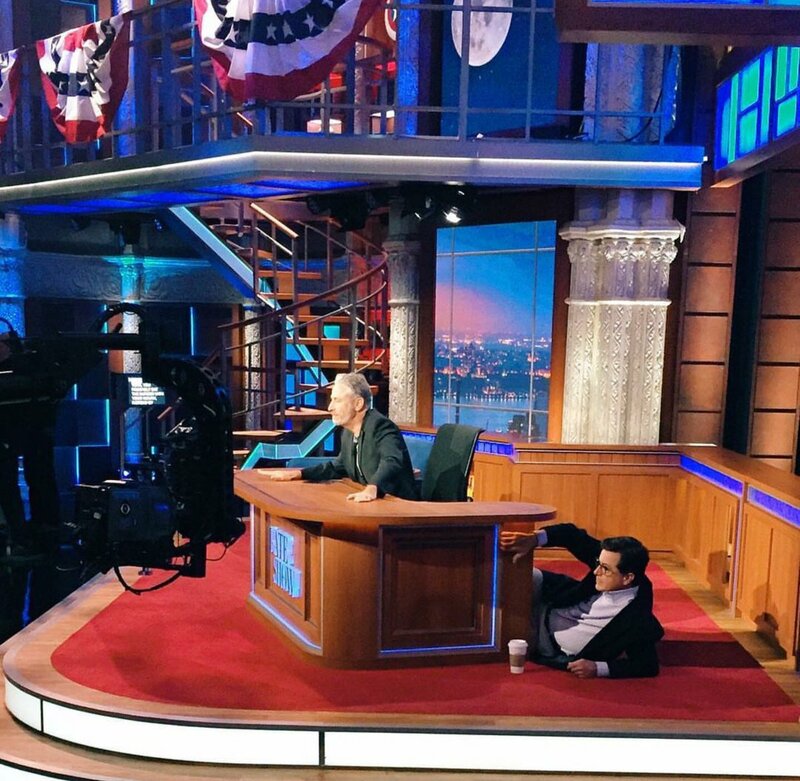 Samira Wiley in a classic plunging black jumpsuit – cue reminder that I still need to embrace this trend – and bold berry lip color. I love seeing group shots of this cast because what other show has this much diversity and array of body shapes, looks and style choices with this many women? I think the answer is probably none. 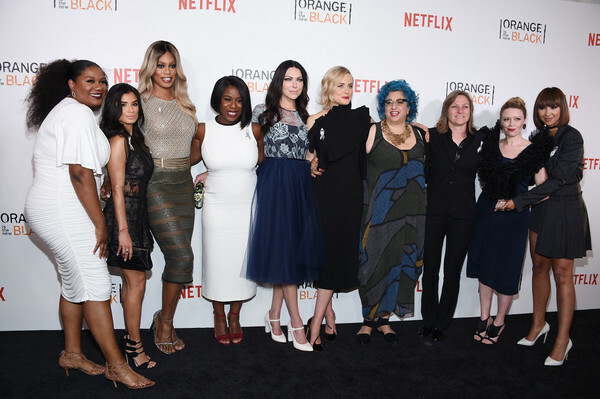 And this is just a small portion of the sizable OITNB cast. 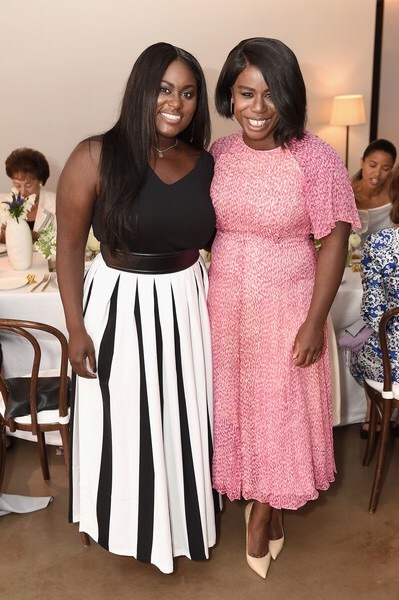 Outfit standouts here include Laverne Cox and Uzo Aduba with Taylor Schilling and Natasha Lyonne – does this mean Nicky is back? – getting the lipstick points. Going for a look that would fit right in at Studio 54 and Vicky Jeudy crushes it in gold metallic Halston. Keeping on the metal theme with Taraji P. Henson in Marc Jacobs serving up a whole lot of steel with a dash of floral embellishment at the Women In Film 2016 Crystal + Lucy Awards; Henson was honored with the Lucy Award for Excellence in Television for her performance as Cookie Lyon on Empire. Keeping on this muted shimmery trend at the Women In Film 2016 Crystal + Lucy Awards is Claire Danes in Dolce & Gabbana with her second red carpet appearance on TV Ate My Wardrobe this week. Pink lipstick yes! Kerry Washington is a patterned dress wearing queen and after last week’s dreamy D&G number here is another delight; this time it is Giambattista Valli and I am particularly here for those floaty sleeves. More pink lipstick to add some color into this week’s muted tones theme. Ending this week’s “Out of the Box” with a boost of color and pants with Rose McIver at the 2016 Women in Film Max Mara Face of the Future event celebrating Natalie Dormer (who was honored at the Women In Film 2016 Crystal + Lucy Awards – also sponsored by Max Mara). 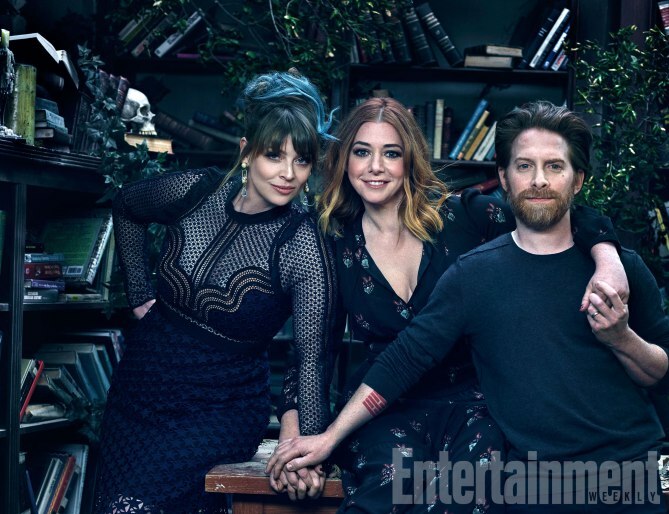 McIver’s look is giving me so many late 90s flashbacks, but not of the choker *shudder* kind and this looks like something I would have worn back then and even now. Also giving me Keri Russell in Felicity vibes. Love the fresh faced/hair back approach here and I cannot wait for iZombie to return after my recent binge. 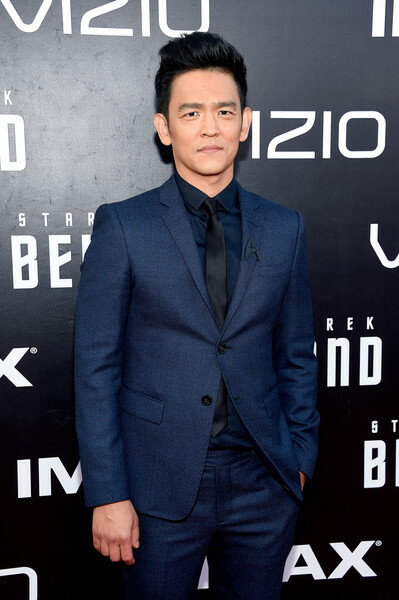 Last week spring fever was in the air with a whole array of bold patterns and color; this edition of “Out of the Box” is a little bit more varied with some very fun outfits, fancy awards wear and more magazine cover stunners. Despite my white clothing reservations – because I am a spiller – Danai Gurira crushes it at Black Girls Rock! in this very cool Cushnie Et Ochs jumpsuit number that wouldn’t look out of place in Studio 54’s heyday. Gurira is on a red carpet hot streak and all I can say regarding Walking Dead is Michonne better not be the one on the end of Jeffery Dean Morgan’s bat. More white and Caitriona Balfe does the whole casual ladysuit thing with aplomb at the Television Academy’s Outlander panel discussion. A simple and super cool twist on one of my favorite trends and I’m looking forward to all the incredible costumes when Outlander returns tomorrow (Saturday 9). Alison Pill in a very cute outfit at the premiere of The Night Manager and one that a) is perfect for someone who isn’t in the project of the event they are attending and b) something I would like to see in my closet. 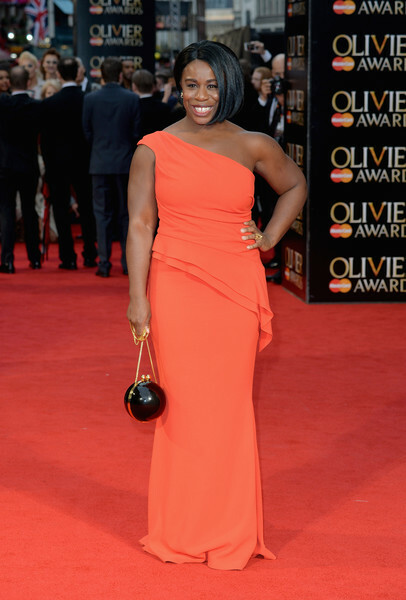 At the Olivier Awards Uzo Aduba took a break from performing in The Maids and looked elegant in this orange off the shoulder Elizabeth Kennedy gown. And now all I want is a bag shaped like a ball. Making their official debut as a couple at the Olivier Awards, which makes this sound like we’re stepping out of a society novel and also maybe trying to shift attention from the question Kit Harington has been asked repeatedly since the Game of Thrones season 5 finale. This isn’t news for anyone who follows celeb dating stories (which I do), but I am always thrilled when IRL couples walk the carpet together especially when their characters were also together on screen. I’m not a hundred percent in love with the shape of Rose Leslie’s gown, but the color and pattern is stunning. 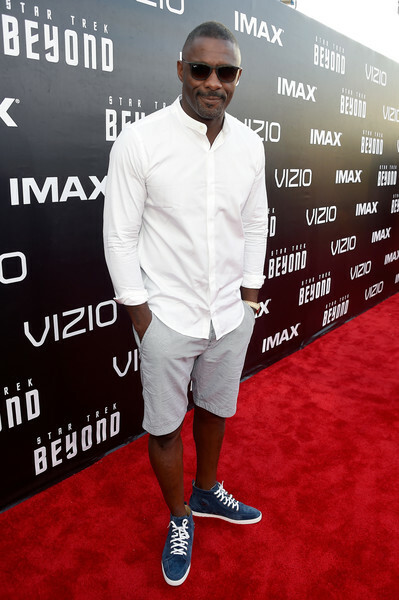 And by Look of the Week I mean look of the week. The shipping of Marcia Clark and Chris Darden was the biggest surprise to come out of American Crime Story (something I wrote a little bit more on in my Observer column this week). Here are Sarah Paulson and Sterling K. Brown at an American Crime Story For Your Consideration event earlier this week; up close I really like Sarah Paulson’s frock, but that level of sheer in the wide shot and lining does not do it for me. 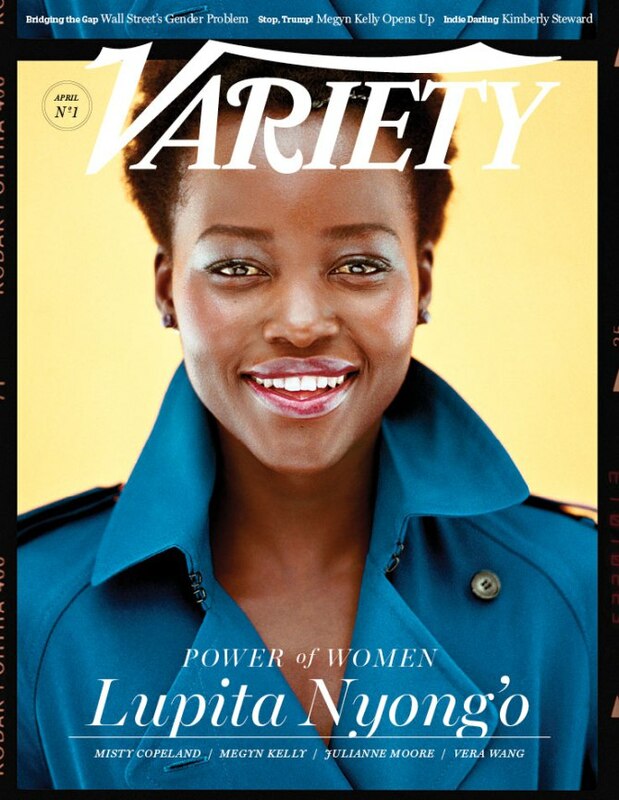 Another striking Lupita Nyong’o magazine cover as part of Variety’s annual “Power of Women” issue celebrating her work with Mother Health International. Excellent trench and background color elevate this shot, but Lupita’s face is what really makes this a standout image. 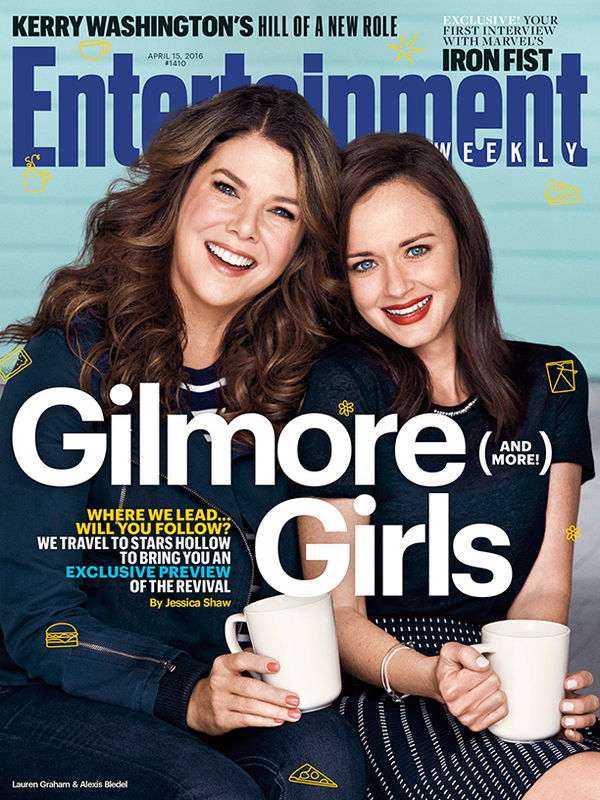 The Gilmore Girls revival is in full swing and because I am only just finishing up season 1 (I know) I am avoiding reading this Entertainment Weekly article and looking at the photos until I’ve caught up; it is going to be hard but also that is totally on me.